The middle column ended with: "I'm not sure if the film is available - it is not listed on Amazon or sites like that. It's not showing anywhere I've seen. But were I running a film distribution company, I'd re-release it." So it happened two years later. As beautifully fatalistic as its title, the classic thriller "Elevator to the Gallows" is a consummate entertainment rich with the romantic atmosphere of Paris in the 1950s. 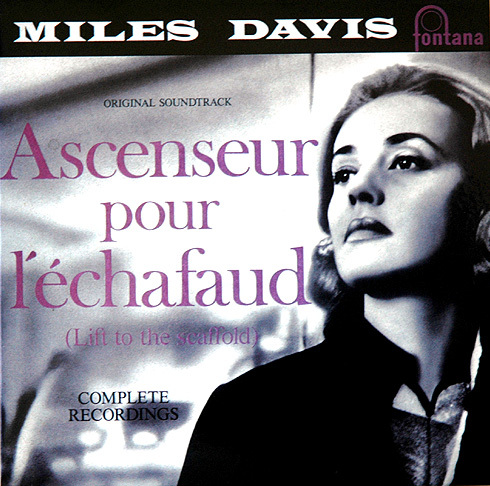 Coming at a turning point in French cinematic history, it drew upon several major talents - director Louis Malle, star Jeanne Moreau, cinematographer Henri Decaë, musician Miles Davis - and achieved near-legendary results with all of them. Made in 1957, when first-time director Malle was only 24 years old, "Elevator" ("Ascenseur pour l'Echafaud") has the brisk craftsmanship and efficiency of classic French cinema and a breathless hint of the energy of the New Wave that was but a few years away. It made a major film star of Moreau, whose work remains completely bewitching. It called forth from Davis an improvised jazz score that, anchored by his piercing work on the trumpet, has become iconic in its own right. And in a pristine restoration by Rialto Pictures, the gold standard of reissue distributors, it showcases Decaë's luminous, adventurous cinematography. It's not something you want to miss. Turan gives a bit of the plot but concentrates mainly on the cinematography, and on Jeanne Moreau - how the performance works and what it did for her career. Anyway, while our flawed hero-murderer is stuck in the elevator, there's this problem with identity theft. His car is stolen by a young fellow who signs into a hotel with his girlfriend, under our hero's name. During the stay at the hotel the young dude shoots a German couple with a gun he found earlier in our hero's car, and the goes on the run. When our hero-murderer finally manages to escape from the elevator - he spends the weekend stuck - he is arrested by the police and charged with the murder of the German couple. His lover, Jeanne Moreau, manages to track down the real murders - rainy streets, very noir - and gets the evidence needed to clear him. But in so doing, well, she incriminates him in the murder of her husband. Oops. Black, French irony, of course. What still strikes me is an odd undercurrent here. The guy caught in the elevator, who shot the husband of the woman he loves, is an ex-paratrooper, a war hero, reduced to working for a wealthy, fat war profiteer who may or may not have collaborated with the Germans in the big war, and who now is rich from what he made in arms sales during the French wars in Indo-China (Vietnam) and now in Algeria. He loves the guy's wife and seems to think the fat-cat doesn't deserve her. She agrees. And he shoots the fat-cat with the guy's own gun. The dialog? "What is this, a joke? What do you want? Money? I'm not frightened of you, Tavernier. I'm too used to being unpopular to be frightened. Anyhow, you're not so foolish as to shoot. In war, yes, but not in more important things." A Halliburton moment? So the arms merchant is a bad guy - "Don't laugh at wars. You live off wars... Indo-China - now Algeria. Respect wars; they're your family heirlooms." Ah, well. The more things change, the more they…. As for the Miles Davis score, you can click on the item from two years ago and read about how he recorded the whole thing in one evening. How it sounds? The album is rather fine. Moody, "cool" and spare late fifties jazz. It holds up well. It's a lot freer and less mannered than the stuff on the Kind of Blue album that is so famous. It's better, and sounds just fine now. Odd that when I hear it I know this is what is known as the "West Coast Sound," born here in Los Angeles with The Birth of the Cool album. Recorded in Paris for a French film, this might just as well have been recorded at the old Lighthouse in Hermosa Beach. And for reference here's a recent photograph of the old Lighthouse in Hermosa Beach. A Rialto Pictures release. Director Louis Malle. Producer Jean Thuillier. Screenplay Louis Malle, Roger Nimier, based on the novel by Noël Calef. Cinematography Henri Decaë. Editor Léonide Azar. Music Miles Davis. In French with English subtitles. Running time: 1 hour, 31 minutes. Exclusively at Laemmle's Royal, 11523 Santa Monica Blvd., West Los Angeles, (310) 477-5581, and Laemmle's Playhouse 7, 673 E. Colorado Blvd., Pasadena, (626) 844-6500.